Every now and again, I get an email from YouTube that some random company has claimed that they own the copyright to the music used in my cooking videos. Now, I have over 350 videos on my YouTube channel. Every piece of music I use to accompany these videos is legally obtained — they’re either copyright-free with source and credit given, or they’re music for which a licence has been paid by the numerous video editors I’ve used over the years. In said email, YouTube is gracious enough to tell me that I’m “not in trouble”, just that any ad revenue from my video will be diverted to this company from now on. Lovely. I’m also warned in no uncertain terms that should I choose to file a dispute, I could earn a copyright strike against my YouTube channel. if I get three strikes, my entire account gets deleted and all 350+ uploaded videos representing nearly 10 years of work get removed. Faced with such dire potential outcomes, it’s no wonder most content creators choose to let these counterfeit claims slide, especially if they’re young and new to all this. It’s just not worth the risk of having your YouTube account shut down over the $2-$4 per 1000 views you might gain from your videos. 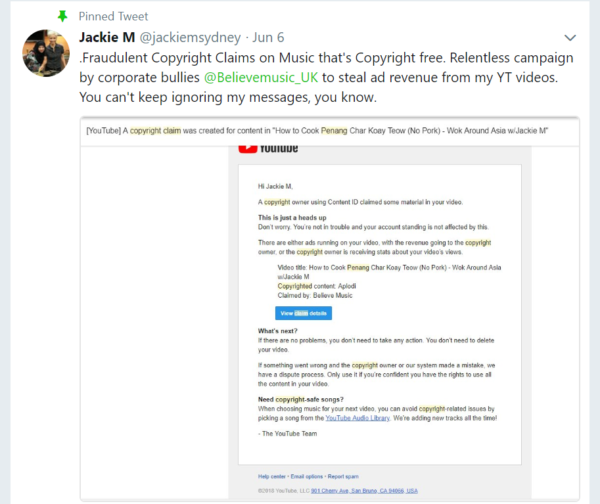 Unfortunately for these music companies, who at best are incompetent in claiming music that they don’t own, and at worst downright committing fraud, they’re messing with the wrong person. If you knew how much (or rather, how embarrassingly little) I make from my YouTube videos, you’d know it’s not about the money. It’s about putting corporate bullies on notice that I’m not in the business of spending countless hours creating content just so I can fatten their wallets. The song is called Smells Like Summer and it’s composed by Del, an accomplished musician who offers some of his work copyright-free. “YouTube channel dedicated to search, catalog, sort and publish free music for commercial purposes, destined to content creators and filmmakers. (It) Has over 900 free songs, sorted by artist, musical genre and mood”. I have more videos using this music that they’ve yet to hijack, but at this rate it’s just a matter of time before they do. 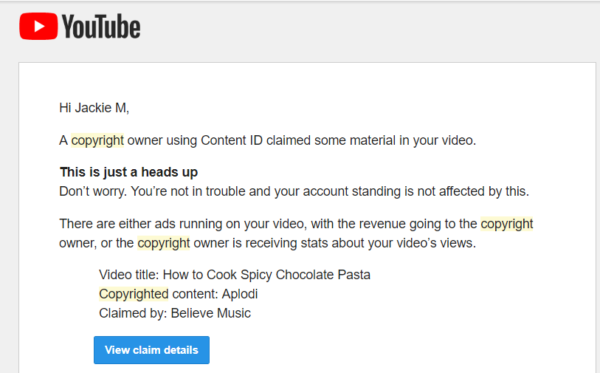 What’s worse is that ALL my future uploads will play this music because it’s now used as the intro to my cooking videos, so unless someone calls an end to this madness, I, along with countless other YouTube content creators, will effectively be unpaid workers for Believe Music. I did a bit of digging to find out more about other people’s experience with this company. 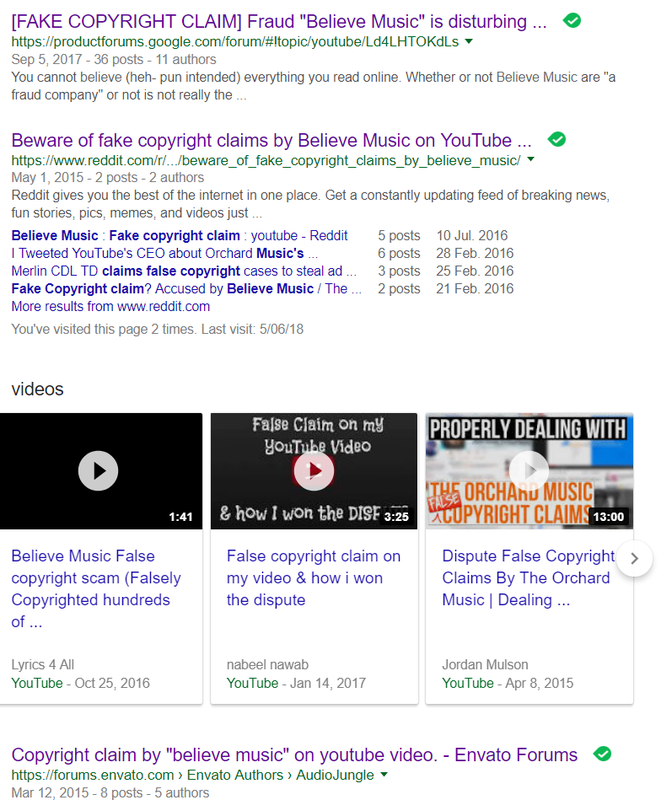 …My band had the copyright on our YouTube videos claimed by Believe Music, who I found out had monetised every video of music from our 1980s album (all original compositions with all rights owned by the band)…When I challenged the bogus YouTube claims, Believe Music challenged this and Google threatened me with a Copyright Strike!! 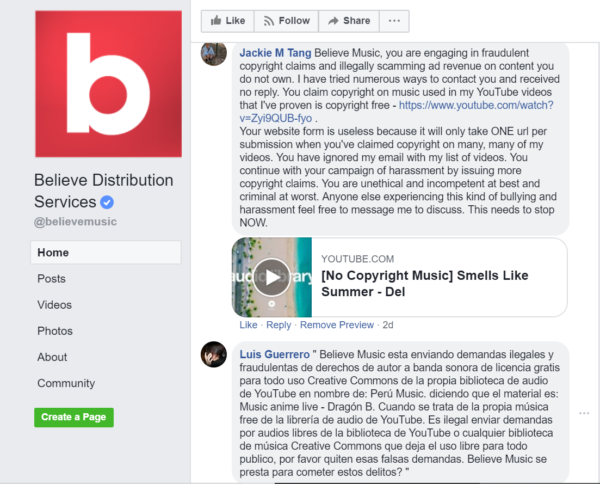 Believe Music certainly is a copyright troll. They made claim against NASA content, very public domain, that I posted on YouTube. Like the other trolls, they take what they can get away with taking. I have fought other similar claims, and you should too, when they take what isn’t theirs to take. Clearly these guys have a track record for making false copyright claims. Did I get a reply? Nope. 2) Sent them a tweet. Silence. 5) Talked to a lawyer about my options. He said that for several hundred dollars he can send them a letter, but he said they’ll probably ignore it. I’d say he’s probably right so I decided to hold onto my several hundred dollars. Hey guys. About the copyright claim everyone is receiving. The claim is not coming from me. I am the owner of the song and since it came out is under CC License but every now and then some fake companies claiming my songs with no rights. It happened to many musicians. Hopefully it will be gone soon! So what’s the status at this stage? I’ve disputed each claim and will keep doing so. This is a black and white case of someone trying to falsely claim credit and revenue on something to which they have zero rights. Believe Music has 30 days to review my disputes and decide whether they want to release their claims. (So far they’ve generously withdrawn one, but within a matter of hours, lodged a claim on another video with the same music.) If they don’t release all their claims, I will appeal their decision. This means it’ll drag on for another 30 days. During this time, they will continue to collect revenue on my videos, and they can demand for YouTube to pull my videos down, which will result in a copyright strike against my account. Throughout this process, the benefit of the doubt is bestowed upon the claimant. They’re described in YouTube’s communications as the “copyright owner”, and my revenue is immediately diverted to them. As the rightful content owner, I’m presumed guilty until proven innocent, and even then, only at the mercy and discretion of Believe Music. If I get 3 copyright strikes, my account will be terminated. Yet Believe Music is allowed to continue to make these invalid claims with impunity. From the timestamps I’ve seen in online discussions, they’ve been doing this for years. What happens if my account does get terminated? Then I’ll take legal action. The lawyer I consulted says I’ll win. So if you’re experiencing the same thing I’m going through, I hope this gives you some courage to dispute your claim even if it’s a pain to live through 60 days of uncertainty about whether you’ll lose all your videos. If you know you’re right, stand up to these big boys and put them on notice that we’re not going to be easy prey for them. Heck, you can even join me in my lawsuit if you like! PS. 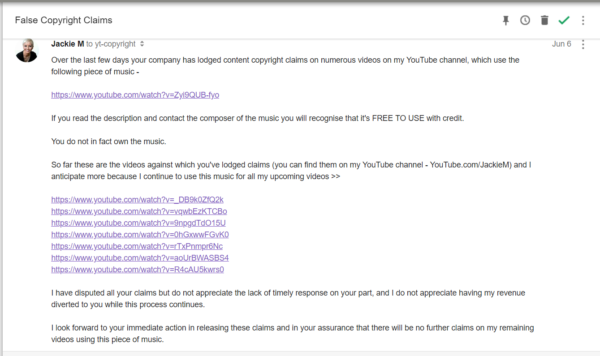 If you have your own fake copyright claim experience that you’d like to share, you can email me via my website. 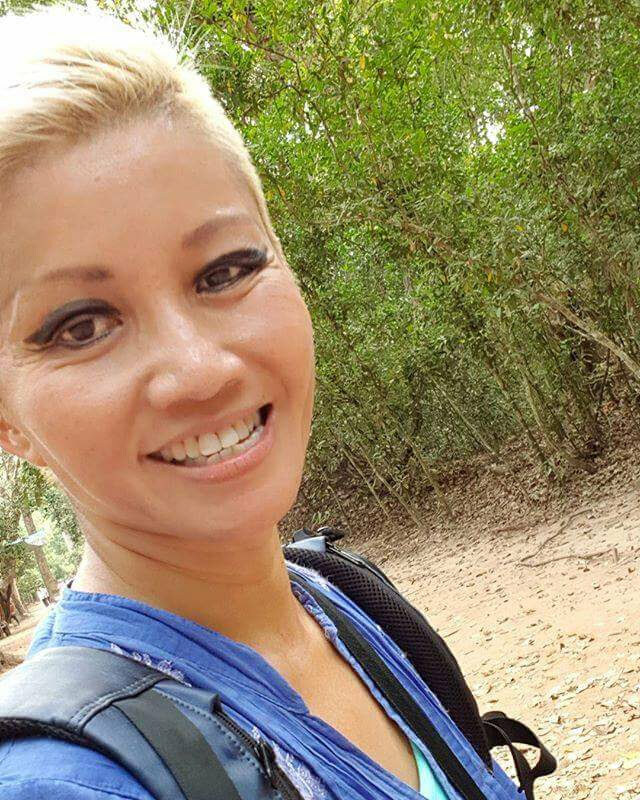 Jackie M in Cambodia, apparently so she could film some cooking videos so that Believe Music could falsely collect revenue on them.